At this point, your idea of the happiest place in the world is probably the small between a large pizza and a bottle of wine. We get it, it’s rough out there. 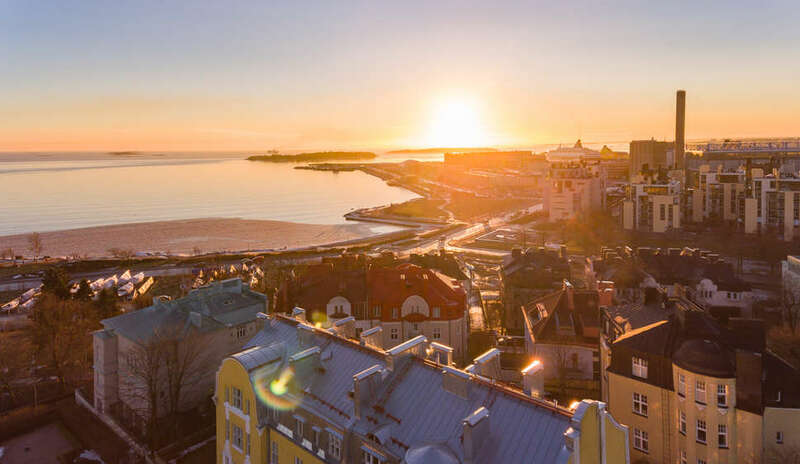 But when it comes to the happiest country in the world, a new report from the United Nations on Wednesday has named Finland for the second year in a row. The long report -- released on International Day of Happiness -- said Finland beat out its Nordic neighbors Denmark, Norway, and Iceland, along with other nations near and far. Perhaps unsurprisingly, the United States wasn’t named among the top 10 happiest countries in the world. In fact, it just barely made the top 20. The US dropped one spot from 2018, and five since 2017, which shows a steep decline in overall happiness. We can’t imagine why. The UN took several factors into account when putting together its list of happiest and unhappiest nations. John Helliwell, a professor emeritus of economics at the University of British Columbia, told CNN the countries were ranked based on “income, freedom, trust, healthy life expectancy, social support, and generosity.” He added that everyone living in a given country was taken into account, whether they were born there or had immigrated. As for the least happy nations, South Sudan comes in at the top of the list, followed by Central African Republic and Afghanistan. Other countries on the list include places like Yemen, Syria, and Haiti -- all nations that are currently, or have recently been, caught in the midst of great tragedy. Jeffrey Sachs, director for the Sustainable Development Solutions Network, told Bloomberg he hoped the data would “offer the world’s governments and individuals the opportunity to rethink public policies as well as individual life choices, to raise happiness and well-being.” He added that we’re living in a time defined by “rising tensions,” which is presenting unique challenges to overall happiness. “We are in an era of rising tensions and negative emotions and these findings point to underlying challenges that need to be addressed,” Sachs said. Whether you live in one of the happiest countries, or most miserable nations, or somewhere in between the two, you should probably focus on your own individual happiness. It’s the least you can do for yourself.